Created an online furniture gallery searchable by style, collection or category for dealers and buyers to view the complete range of Woodworks’ furniture, including finishes, dimensions and hardware options. 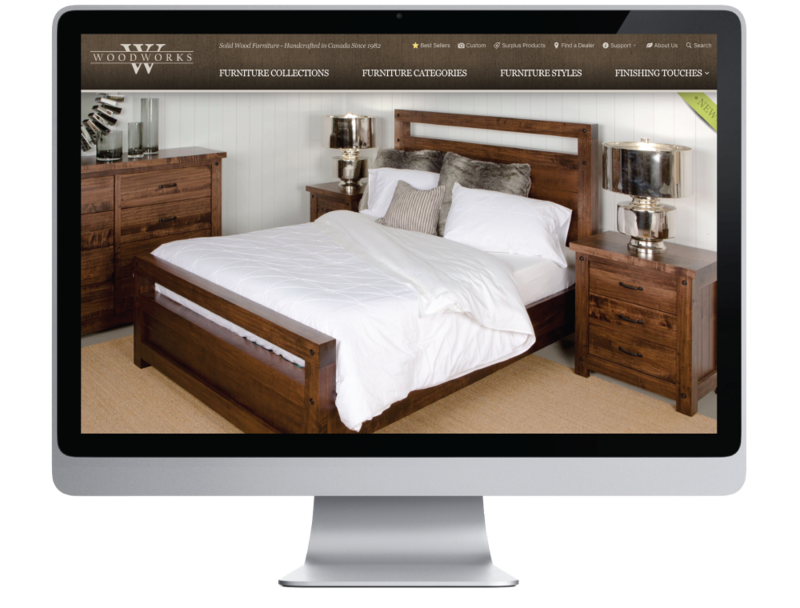 Traditional “crafted” design elements of the website reflect the hand-made quality of the wood furniture. The neutral colour palette allows the furniture to be the centre of attention.